Auto Trim Design in Great Falls MT is the "One Best Place" for all your car and truck accessory needs. Accessories for cars and trucks is not just our business, it's our only business. When it comes to finding the right place for auto accessories in Great Falls and the surrounding area, you've found it. Your search is over. Ask us about window tint for your car, truck or van. 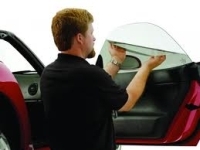 Tinted windows in your car or truck not only helps keep things cooler but can offer some degree of safety and security against flying glass in an accident or an attempted break-in. We also have knowledge and experience with solar control window tint products for your home, store or office. We know how to make your ride or your building cooler. One of our specialties is 12 volt electronics. Few auto accessories scream custom like added lighting. 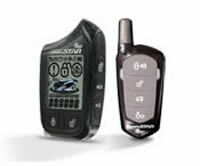 We have the latest technology and electronic products for your vehicle. Ask us how to make life more convenient and safer with the newest automotive technology and electronics. Stuff like 'Backup Cameras'. One of the more fun accessories we have is mobile video. Keep all of your passengers entertained with mobile video systems that play DVDs or even stream video games or their favorite movies or YouTube videos. We all know that winter in Montana is brutal. Using a remote starter to warm your vehicle before driving makes life less brutal and is better for your engine. Remote starters (sometimes called electric starters or auto starters) provide convenience you will really appreciate on those cold winter mornings. We are Montana’s remote start headquarters. The luxury of leather seats has been appreciated by drivers since the very first cars over 100 years ago. Leather feels, smells and cleans like nothing else. Custom leather seats will also enhance the value of your ride. We have been helping drivers personalize their interiors with leather seat options for decades. Whether you want plush or sporty or somewhere in between, we've got you covered. What about "Paint Protection"? You do everything you can to protect your car or truck and you’re committed to taking good care of it. But no amount of care can protect the one thing that’s most vulnerable – the paint. It’s exposed to all the elements, birds, insects and worst of all, road debris and rock chips. Paint protection film is a crystal clear (invisible), energy-absorbent urethane film that’s cut by computerized equipment to precisely fit your vehicle and then applied by certified applicators to the most exposed areas. Paint protection film will preserve that new look for many years. We have a full line of truck accessories including grille guards to help minimize damage if you meet up with Bambi (or her boyfriend). We can help protect that truck box and cargo with a sporty looking tonneau cover. 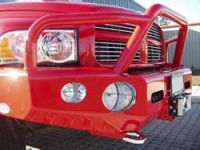 And when you or your passenger find it difficult to step up into that cab, we can help with that too – we've got running boards or step bars. Please check out our products and services here on our website. Since car and truck accessories is our business, we're confident that you will find what you are looking for right here. When it comes to dressing up your car or truck, ATD in Great Falls MT is the one best place. We have been proving that we really are the experts in the field since 1975. Thanks for taking a look around on our site. We hope to see you in person soon. Please watch our "Welcome" video above, it's our personal welcome message from us at Auto Trim Design in Great Falls to you. We hope you enjoy your visit and that you will come in to see us soon.